Today I went along to a brilliant event that started at the IT Sligo. 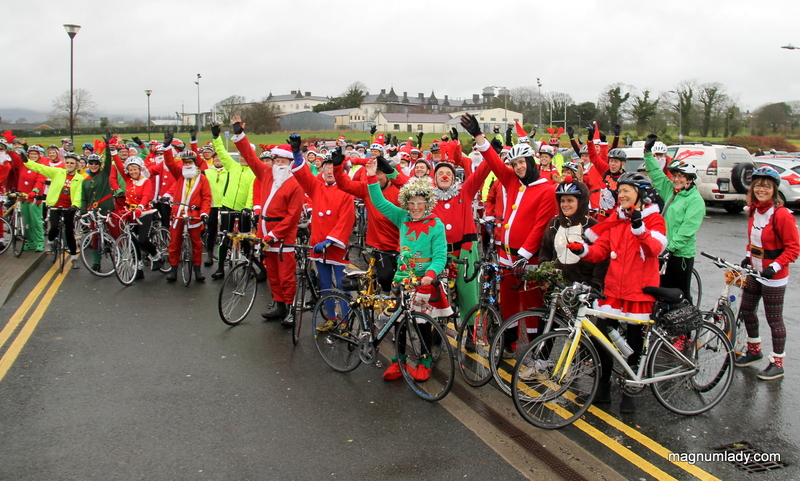 The Innisfree Wheelers Cycling Club organised a Santa Charity Cycle in aid of the Lions Club Christmas Food Appeal. 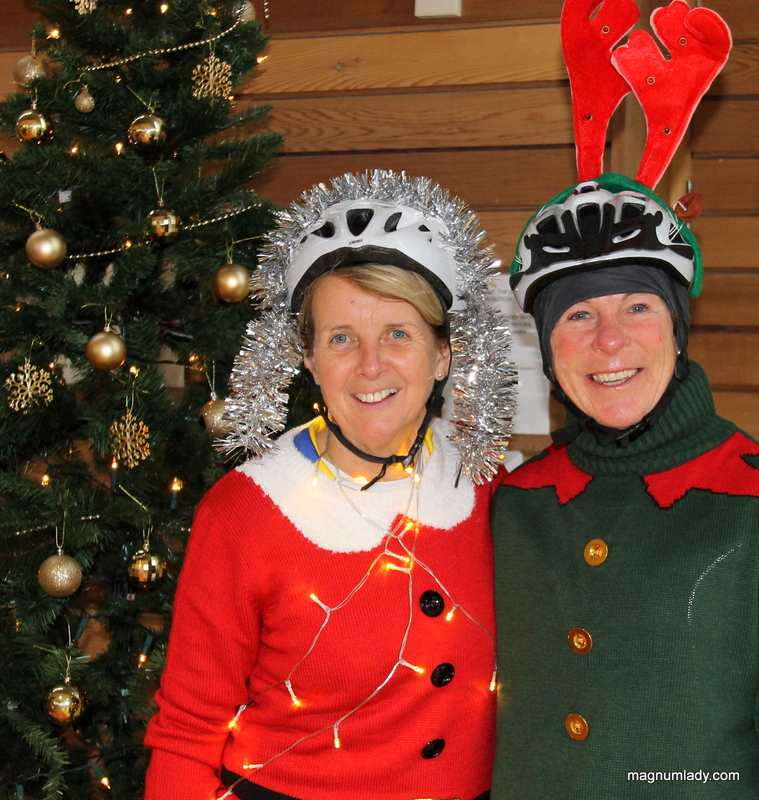 100 cyclists dressed as Santas, elves, reindeers and all things connected with Christmas took to their cycles and made their way around Lough Gill which is a 40km route from Sligo through Leitrim and back to Sligo again. 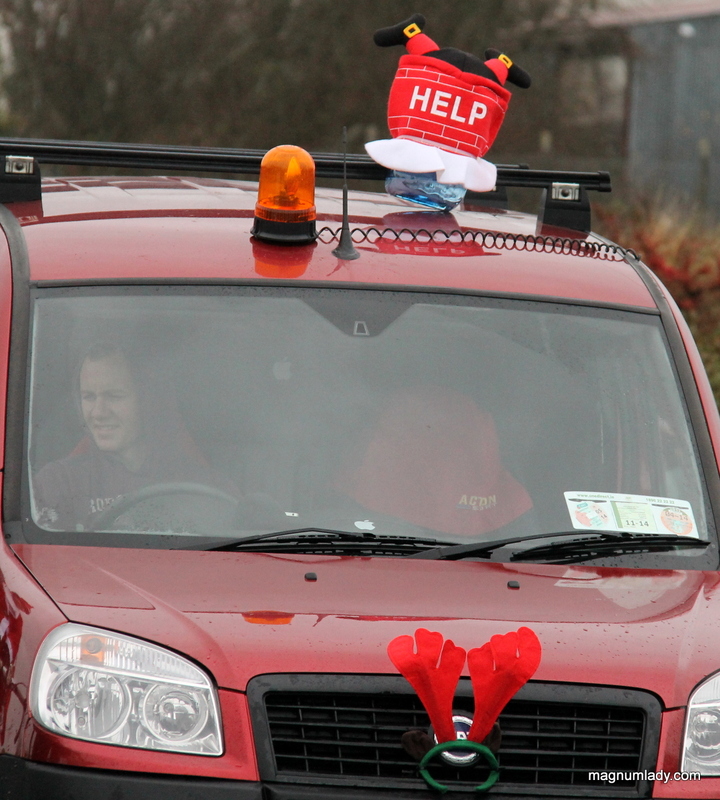 Even the vehicles got into the spirit of the event! 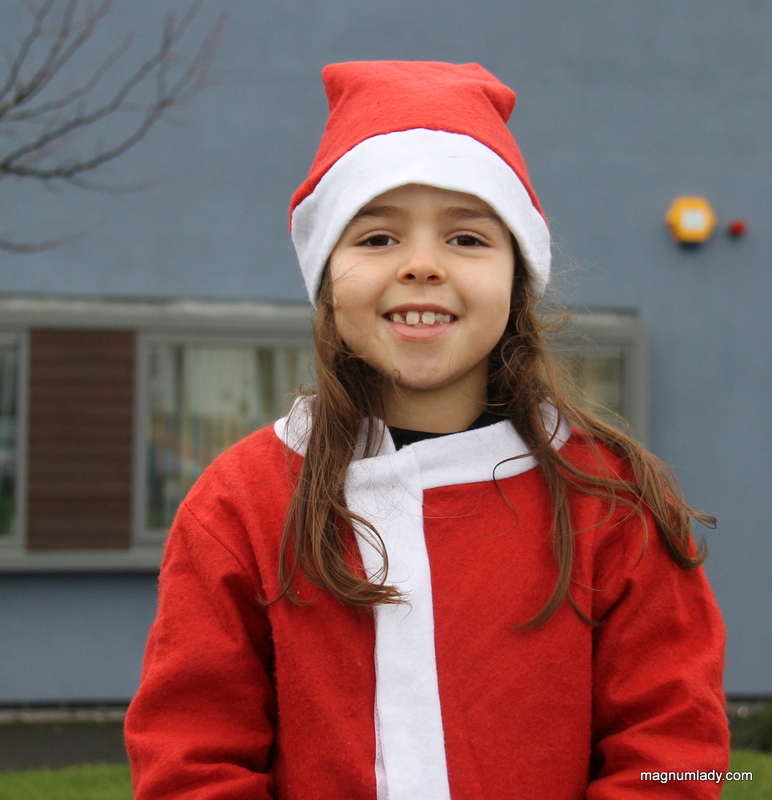 There was a lovely atmosphere at the event and nice to see sunny smiles on an otherwise dull day. 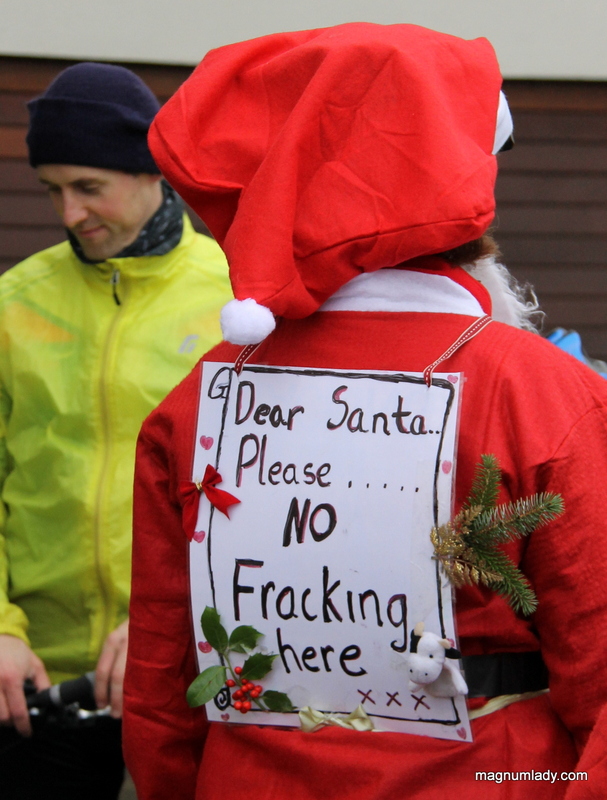 There was also an anti-fracking letter to Santa. 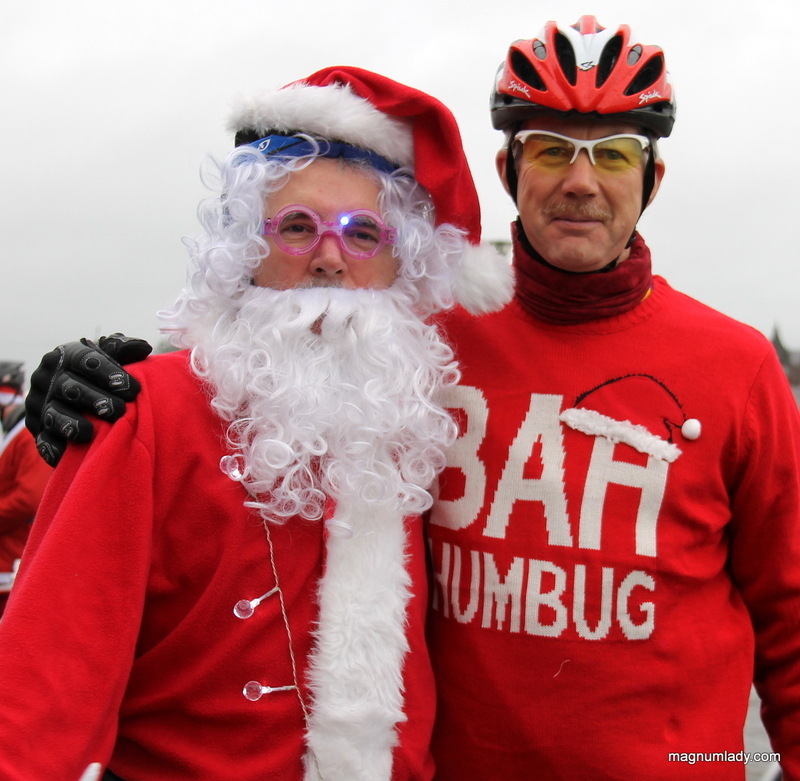 Even the spectators got into the spirit of things. The rest of my photos are here. The cycle looked very Christmassy!